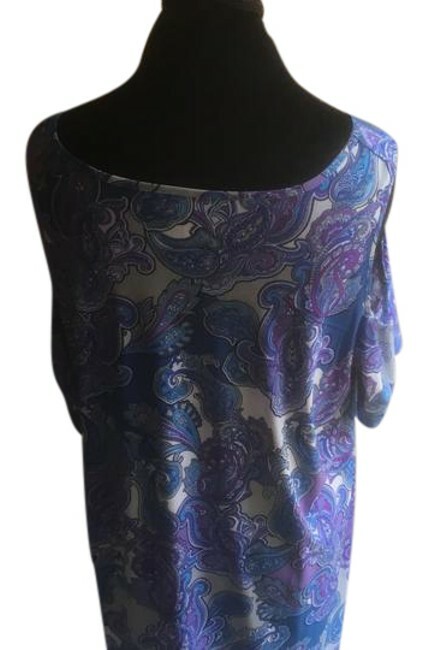 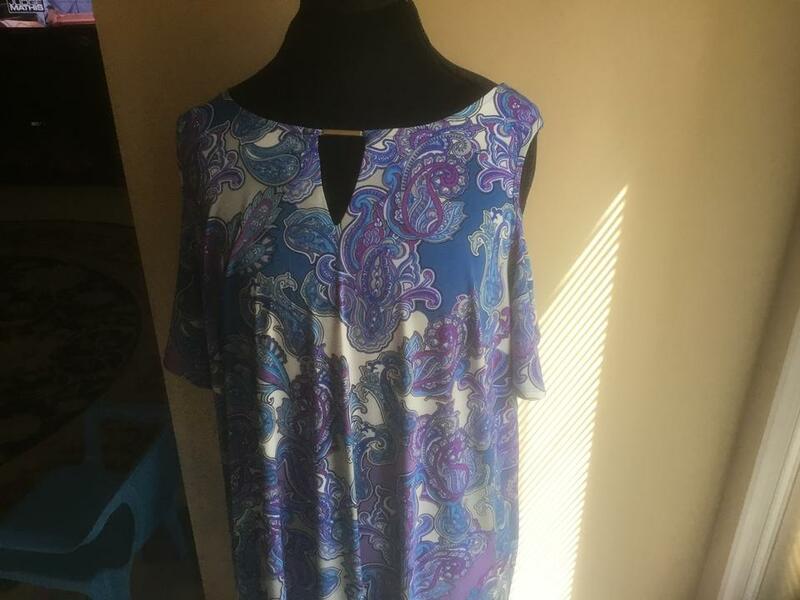 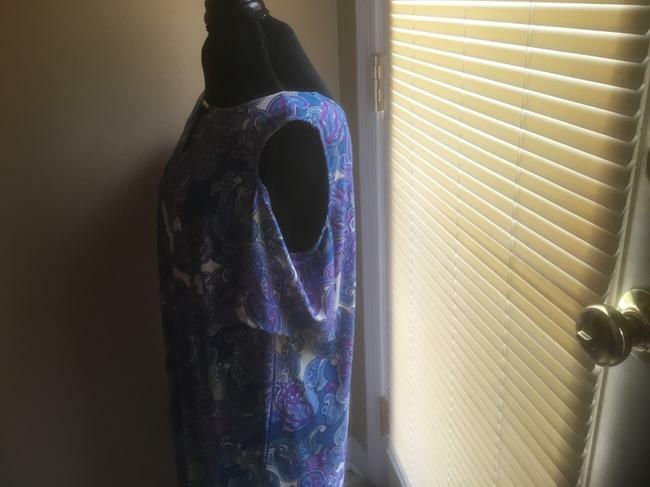 This paisley dress is very cute with the shoulders out run small. 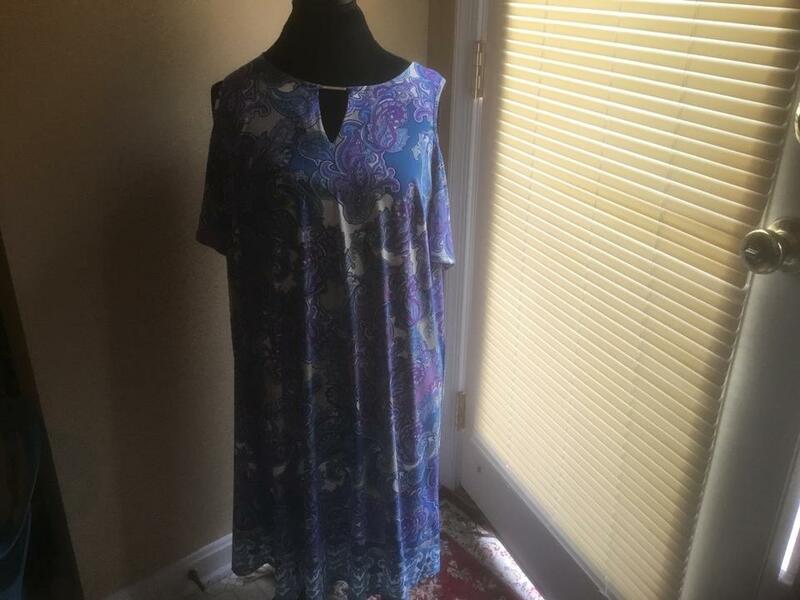 It fix like an X large. You can wear this comfortable dress with any type of shoes, Come from smoke free home.